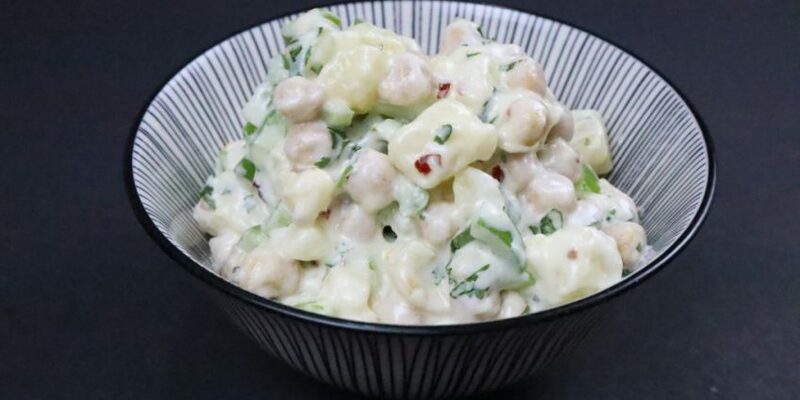 Creamy Macaroni salad is packed with fresh veggies, boiled macaroni & a terrific layer of mayonnaise. 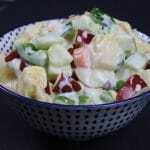 It is a perfect salad to offer kids to heighten up their tastebuds. It is a classic dressing to offer your next girls night party food. The taste is outstanding & it’s kid favourite dish. 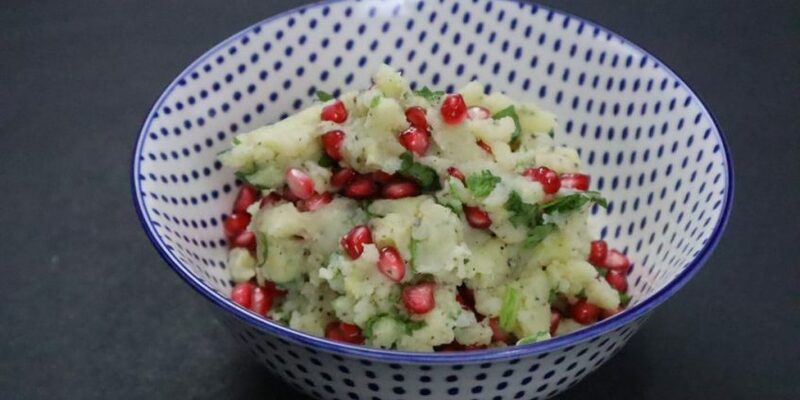 The dish is amazing looking with its exhilarating texture and just amazing choice for house parties. Take a bowl. 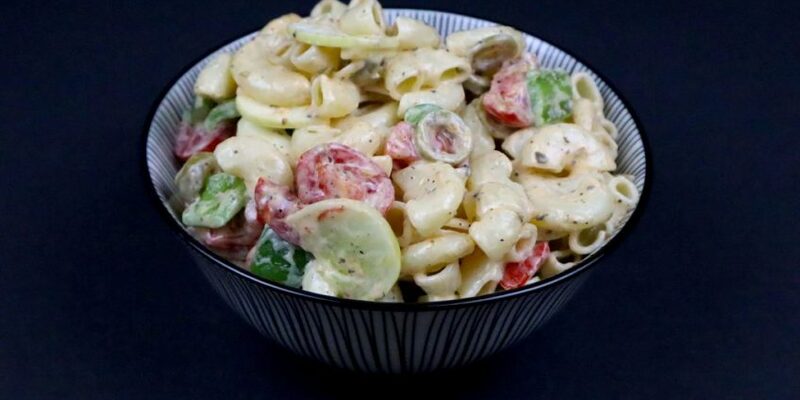 Add boiled macaroni, chopped capsicum, chopped cucumber, green olives, chopped cherry tomato. 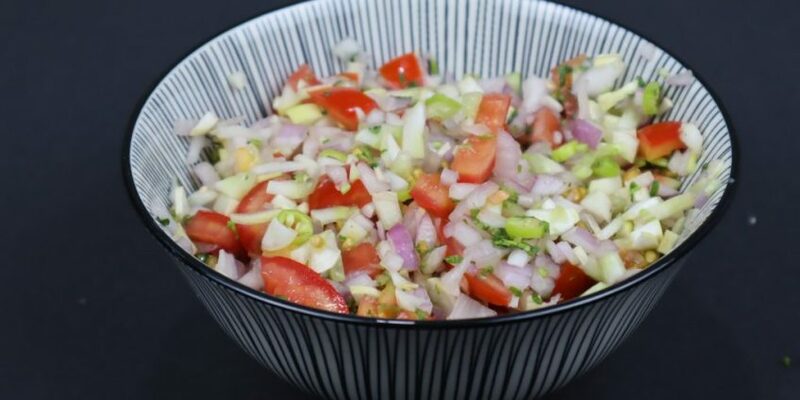 For dressing add oregano, vinegar, olive oil, salt to taste, black pepper & mayonnaise. Mix well so that everything gets perfectly coated with mayo. 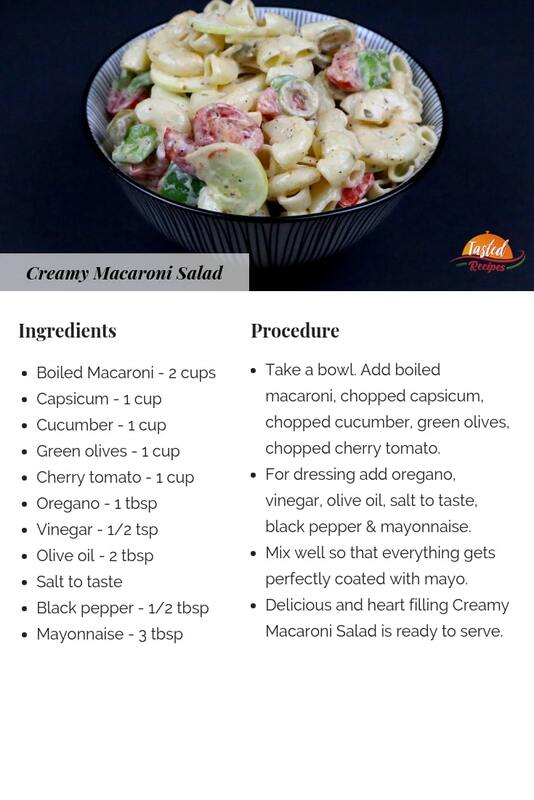 Delicious and heart filling Creamy Macaroni Salad is ready to serve.